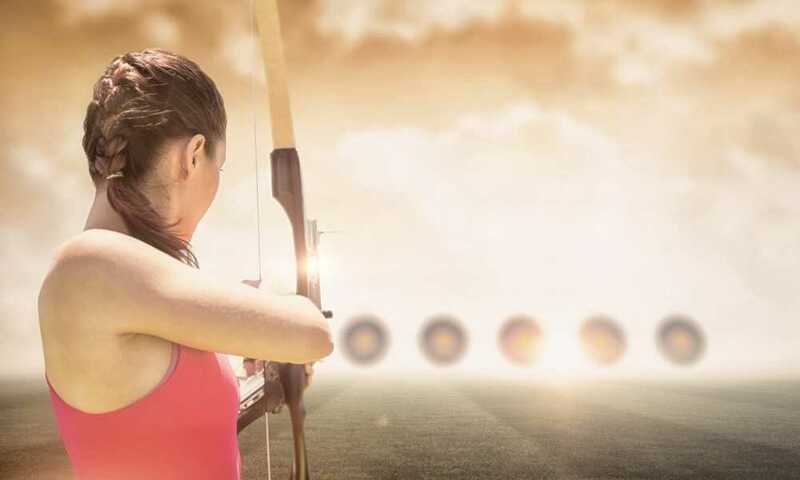 One of the great sports that people of almost any age can enjoy is archery. 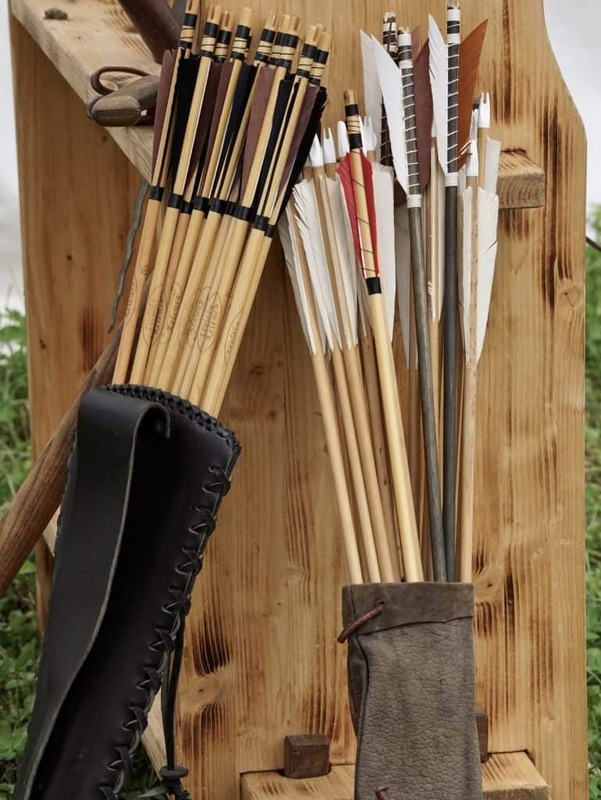 It is an old skill, dating back thousands of years, but today’s bows and arrows are a far cry from the simple wood sticks and sinew stringed bows of our ancestors. 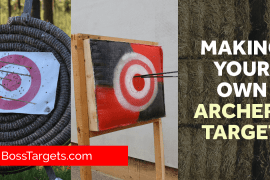 The best archery arrows of our ancestors could not compete with what is in the market today. Today’s bows and arrows are engineering marvels which incorporate new materials and designs which allow you to specialize in a certain type of shooting or be able to move easily from target shooting on a range to hunting live game in the woods. But, as with all sports, the fundamentals are important. 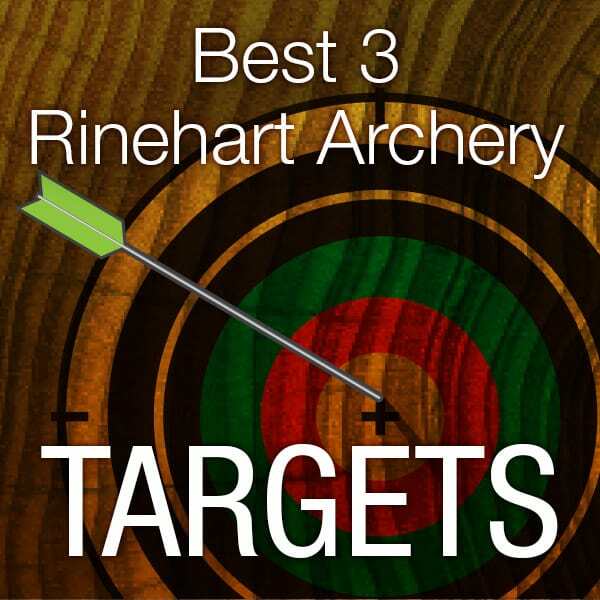 So let’s start with a few basics before diving into our picks for the best arrows. A standard arrow has four main parts: a nock, fletching, a shaft and a tip. Both fully-assembled arrows and arrow parts are available on the market so you can buy a premade one or build your own. All four parts come in different weights, sizes and have many different features. All of these differences will have an impact on the arrow’s characteristics and its flight. 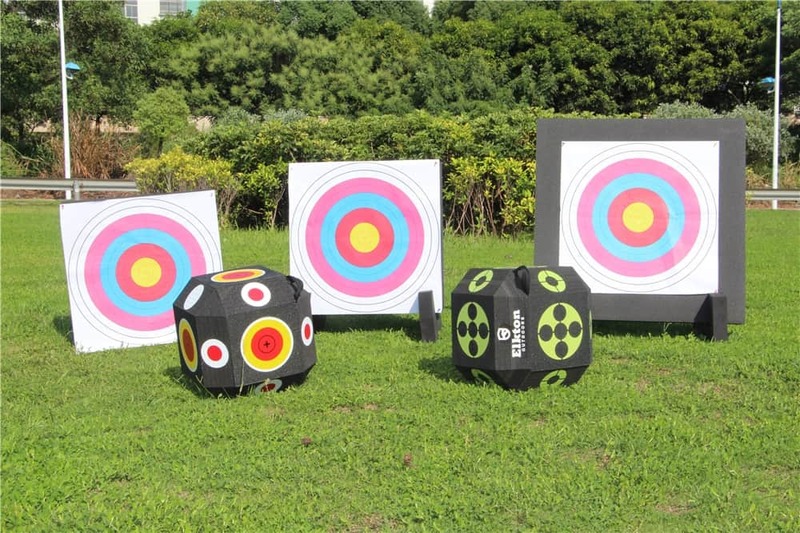 The arrow’s flight is also affected by many other factors which include: the arrow’s weight, its shaft length, the bow’s draw length and its draw poundage, any bow accessories, its speed, and the environmental conditions in which you are shooting. 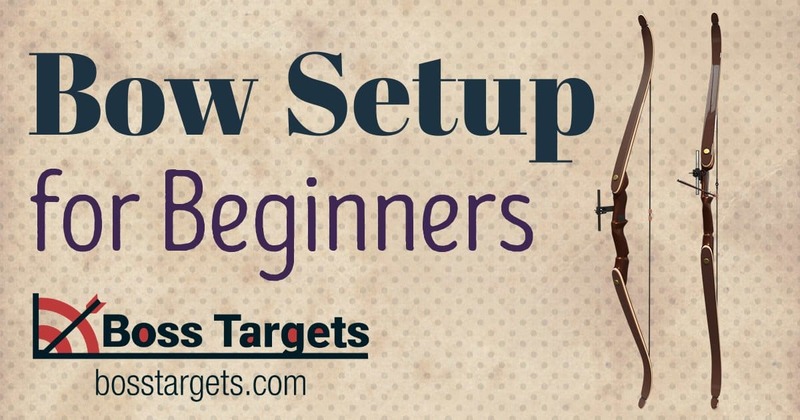 Once you fully grasp these concepts and how they all combine to create the arrow’s performance, you can begin to use a system of measurements and charts to define the setup that is perfect for you and your shooting style. Perhaps the first thing you need to consider when beginning the process of buying arrows is to measure your bow’s draw length. This draw length greatly influences the performance of any arrow you end up getting. Often, a hunter will shoot too long for their bow. Whether that’s a mistake, or because they want to gain extra speed, having too long a length will result in serious form issues and your shooting will suffer for it. No amount of equipment, no matter how good it is, can replace having good form. Perhaps you don’t know your draw length or incorrectly measured it. It’s easy to figure out. To properly determine your draw length, measure your full arm span and then divide it by 2.5. 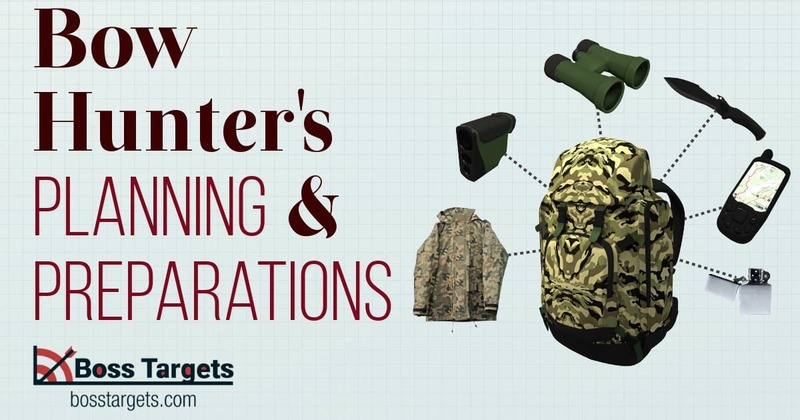 This simple equation will give you your proper draw length every time. The next important factor you must consider is draw weight. All other things being equal, the greater your draw weight, the greater your speed and penetration on target. But you should not simply increase weight because this will affect your form. 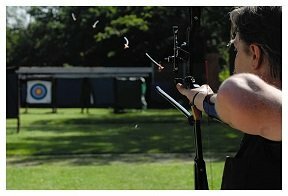 Too high of a draw weight will result in an archer being over bowed and thus their shots will lose accuracy, speed, and penetration. Knowing your proper draw weight will determine the arrow spine. But the primary concern is to keep the weight comfortable for you to draw. You only need a certain amount of penetration, anyway. A common technique to determine the arrow length is to simply use the draw length. This will work, but there is a better way to figure this out. Different rests have different specifications. Because of this fact, it is far better to measure your arrow length by drawing your bow with a nocked arrow in it. Having someone else there to help properly measure is a good idea. Most people think that, in general, longer arrows are safer and shorter arrows are faster. To find your proper draw length, begin by pulling back the arrow to a full draw and have another person measure the distance between 1.5 inches and 2 inches from the rest. Remember that an arrow which falls too short will end up shooting right through your hand. Some more experienced archers prefer a shorter length arrow for increased speed. Unless you have the experience to understand the consequences of using a too short arrow, you are better off not cutting your arrows. Generally speaking, medium to heavy weight arrows are better for hunters for two primary reasons: a heavier arrow will penetrate the deer better and a heavier arrow reduces noise and vibration. Despite this, many archers still prefer to shoot a lighter arrow because it will be faster. As a rule of thumb, you should consider three things when deciding on arrow weight: lighter arrows are better for competition, while heavier arrows are better for hunting, and finally, hunters should use an arrow with a weight of between 6 to 8 grains per pound of draw weight. It is also highly recommended that you should never shoot an arrow that is lighter than 5-grains per pound of draw weight. Shooting an arrow that is too light will do harm to your bow and could potentially void your warranty. Also, you should keep in mind that weight measurements include the entire arrow setup – shaft, vanes, nock, tips, and insert. 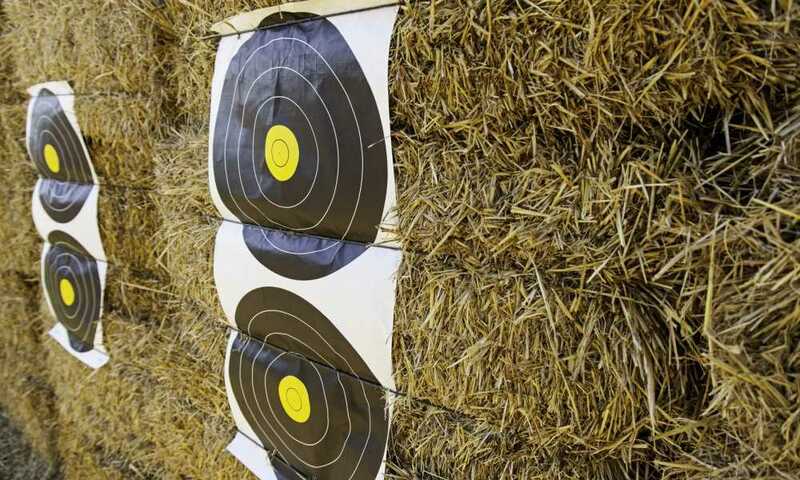 For archers shooting a lower draw weight, perhaps 50 pounds or less, it is recommended that they shoot an arrow on the heavier side of that range. Most new archers don’t understand that your arrow wiggles when it is shot. That wiggle is actually quite normal and it is because of something called, “The Archer’s Paradox” which describes how an arrow will bend around the bow but still will fly straight and hit the target. In fact, not only is that wiggle normal, it ‘is an important aspect of buying an arrow – the spine. Arrows are designed to have different lengths of the spine and you want to buy an arrow that has the right amount of spine so that it collapses on itself properly when it is shot and it wiggles all the way to the target. But not too much. Arrows which have too stiff a spine aren’t accurate and can actually fly sideways before straightening out. Several things affect the spine performance. If you are using a bow with a very high draw weight, you will want to use a stiffer arrow. If you are using a bow with a low draw weight, you can use a weaker arrow. Do this, close your eyes and imagine if you use a high poundage bow and shoot a very weak arrow. The arrow would wiggle a lot and would be very inaccurate. On the other hand, if you use a low-poundage bow and shoot a really stiff arrow, it would not bend very much and it would not go very far. The longer the arrow, the stiffer the spine needs to be so the arrow will fly truer when shot. The weight of your arrow tip has a lot to do with how much your arrow bends. This is why: imagine you’re holding a Styrofoam pool noodle and you use it to push over a paper cup that is half-full of water. The cup would probably fall over. Now imagine that you are using the same pool noodle, but this time you’re trying to push a bowling ball. The bowling ball isn’t going to move much at all and your pool noodle is going to bend. The same concept works on your arrow point. This is why it is a very important part of your arrow purchase. Now that we have the basics and some guidance on how what makes a good arrow, let’s look at some contenders for a spot in your quiver. Great construction, competition spe cs and a hot look with fantastic graphics make the Velocity Valkyrie from Gold Tip an outstanding choice for bow hunting and target practice. It has a four-fletch configuration and is very lightweight because of the Velocity construction which maximizes speed without sacrificing any strength. This comes because of Gold Tip’s solid Pure Carbon Technology. The Valkyrie specs give it a +/- .003-inch straightness and a +/- .5-grain weight tolerance for exceptional performance. Five different spine offerings (300, 340, 400, 500 and 600) cover just about every bow setup you might have. The four-fletch configuration gives the arrow just enough back-end drag to generate faster flight stabilization which results in smaller grouping by almost 75 percent. Easton has returned to its roots with the ultra-popular FMJ that sports a look very similar to its 1970-90’s XX75 aluminum arrows with their distinctive Autumn Orange. The XX75 6MM FMJ has the same carbon core which is wrapped with a sturdy 7075 aluminum jacket as the original 6MM shaft, however, in a unique retro design that demands your attention. The 6MM FMJ AO is available in three different spine sizes (320, 390 and 470) at a very affordable price. The shaft specifications give it a +/- .003-inch straightness. Easton’s 6MM Axis Under Armor arrow may have a small diameter but give you fantastic value. It is wrapped in Easton’s Under Armor Ridge Reaper camo and the reduced diameter not only will improve strength, it also reduces wind drift and drives deep into the target on impact, delivering superior performance where you want it the most. These 6MM Axis Under Armor arrows include RPS inserts and dark red 6MM nocks. It’s +/- .003-inch straightness rating will make sure the Axis Under Armor flies exactly where you want it to go. Victory’s new VAP TKO Elite delivers world-class tolerances. A stand out member of the VAP Low-Torque line, the TKO Elite specifications give it a +/- .0001-inch straightness. A 100 percent carbon construction produces a micro diameter shaft which delivers a ton of force on impact. The inevitable twisting force exerted on the arrow by the bow when fired is mitigated by a 45-degree carbon. Because of this, the shaft recovers quicker than other designs. Patented Shok inserts work to enhance penetration. The NVX target series is another new line from Victory. Constructed from 100 percent high modulus carbon, the new NVX shafts have the largest diameter which is still accepted by the World Archery Federation. There are three models in the new series (NVX 23, NVX 25 and NVX 25HV) and they all incorporate Nano Ceramic ICE coating. The shafts are spine aligned for a level of accuracy not found in other arrows at this price point. Rage has made the arrow buying process far easier on shooters with the introduction of its all-new Simply Lethal Arrow package. The arrow has a precut, inserted and fletched Gold Tip arrow with the shooter’s choice of either the Rage SC 2-Blade 100-grain or the Rage SC 2-Blade 100-grain Chisel Tip broadheads. And they even throw in a set of field points for target practice. The arrows come fully assembled and ready to shoot giving shooters the simplicity of a grab-and-go experience. The arrows come precut to 29.5 inches and are fully assembled with their nocks, their inserts and GT vanes, plus the deadly Rage broadhead. These arrows have a fantastic +/- .006 inch straightness tolerance and a +/- .002-grain weight tolerance, specifications that are best suited for the close-range bow hunter. The Mayhem DS Series arrows from Carbon Express bring together CX’s proprietary Dual Spine Weight Forward technology which combines carbon materials to create two spines and more effectively manages energy and speeds up recovery. As a result, the arrow spins 20% sooner than other conventional arrows, delivering unequaled flight. CX’s BuffTuff, which is the toughest and quietest carbon arrow finish currently on the market, coats the shaft’s front section. All the Mayhem DS shafts are laser checked for straightness which produces a maximum variance of only .0035-inch. A revolutionary LaunchPad precision nock completes the arrow. The Instinct arrow from Black Eagle Arrows is a new micro-diameter carbon arrow which features a wood grain look which compliments almost any traditional bow setup. Its 15/64 inch diameter reduces wind resistance while also enhancing penetration. It’s cresting, along with 3-inch feathers offers a traditional appeal to hunters. The Instinct has a solid durability and it includes a 100 grain Super Tough outsert. The Instinct arrow does a yeoman’s work and looks good while doing it. 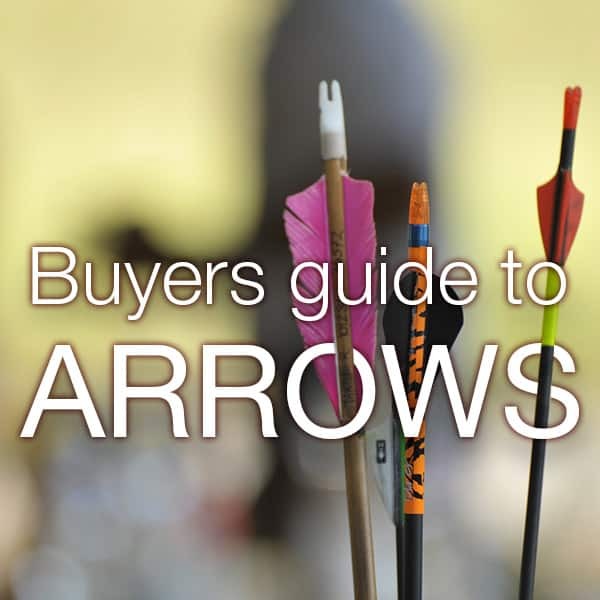 There are so many great arrows on the market today that it can be difficult to decide which to put in your quiver. Our line up of arrow choices should help get you going in your search for the perfect arrows for your shooting style and needs. So get some great arrow, get out on the range and get shooting! What do you think of our arrow list? Do you have other arrows that you think are a great addition? If so, leave a comment in the comment section below. Like this post? Then share the below image on your favorite social media website (like Pinterest)! Bought Gold Tip Velocity XT Shafts. It was great arrows, all were very straight and within a few grains in weight of each other. Comes with nocks and inserts. Nice post! Very descriptive and easy to read. 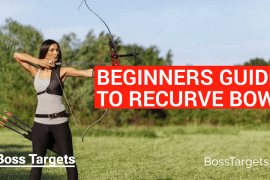 I liked that you made clear the type of arrow point to use as a beginner, and how to grow from them. Do the arrows come with inserts? 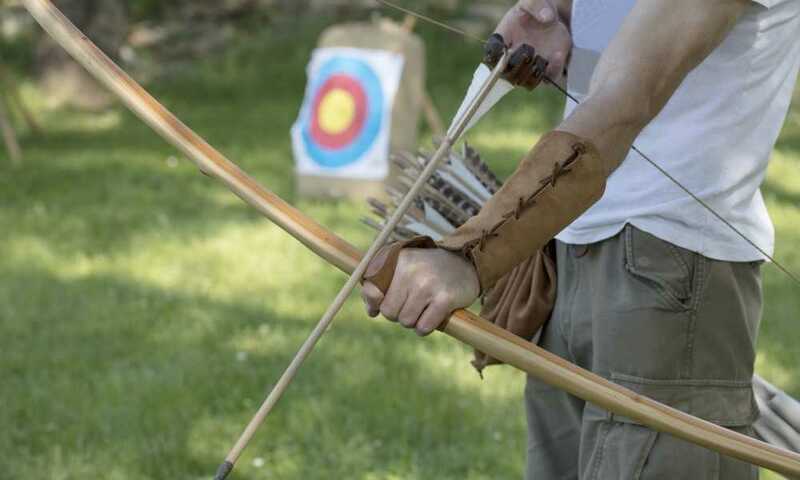 Some archers use attachments on their bows to improve their performance, and manufacturers are developing increasingly sophisticated models of such accessories. I think this is the best way to improve our game from the equipment standpoint.